The first one is particularly beautiful, isn’t that smile mesmerizing? Thanks a lot for these great pictures, Chet! The creative commons license applies to this photo, so credit gtrwndr87 if you use it anywhere. There is also a very nice photo in Kelson’s photostream on flickr which shows Luciana at her booth on Saturday, together with her adorable colleague and friend, Nicki Clyne. Finally, a short interview with Luciana was published on the Sci Fi Crush website. 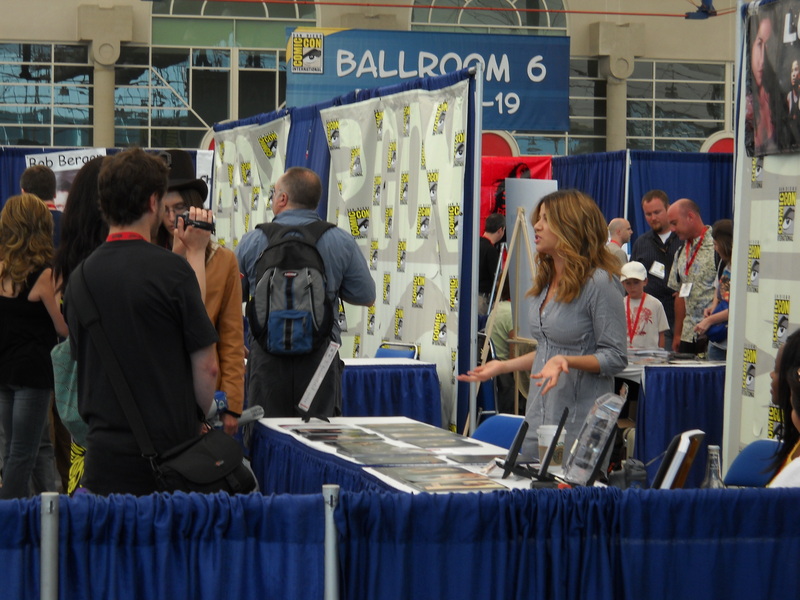 Luciana talks about San Diego Comic Con and the convention scene in general, and she mentions her upcoming movies. You are invited to visit the convention and picture threads on the fanboard. 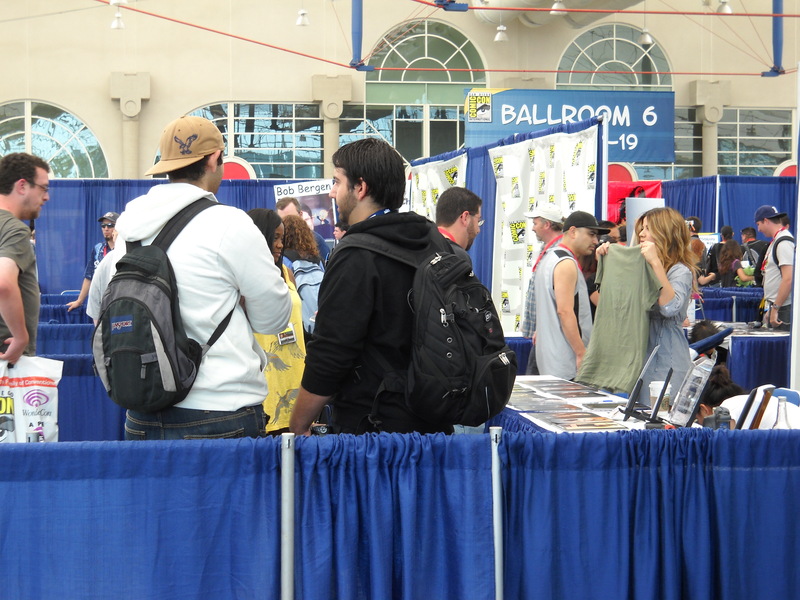 This entry was posted in Uncategorized and tagged Articles + Interviews, Conventions + Events, Interview, Photos, Pictures, San Diego Comic-Con. Bookmark the permalink.